Join us for a day of fun family fishing! Kids ages 5-14 are eligible to fish with an expert fishing mentor. May 11th, 8:00 a.m. – 2:00 p.m.
Tickets are $7/person in advance. Non-fishers can purchase a $10 ticket at the door but please be aware tickets for fishers do sell out! 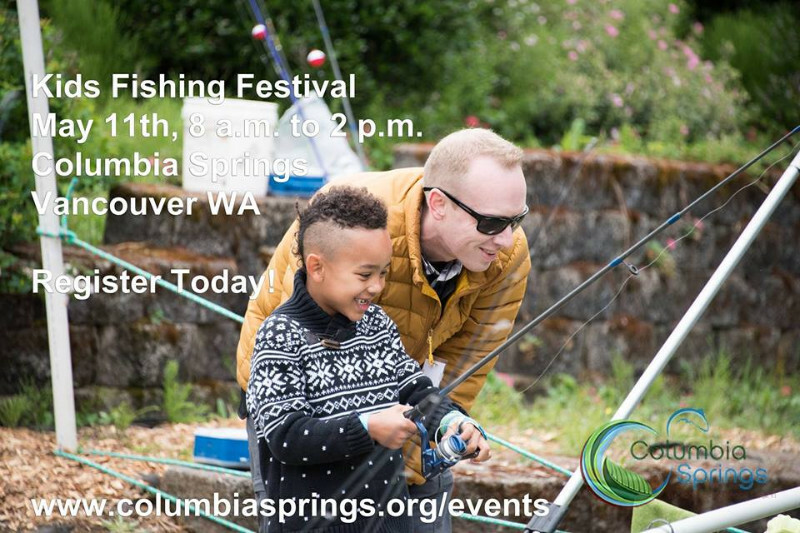 The ticket price includes nature games and activities for the whole family, a BBQ lunch, fishing pole for registered fishers, and the opportunity to catch up to two trout with the help of a fishing mentor provided by Columbia Springs. Please note: it is not guaranteed you will catch a fish. To view more events in your area, click here.